Stunning, stylish and daring! 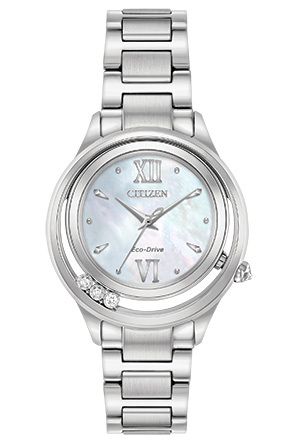 The CITIZEN® L Sunrise LS collection has taken a casual turn for the simpler woman. Shown in a stainless steel case and bracelet, this timepiece features 3 floating diamonds along the bezel, a diamond studded crown, and a Mother-of-Pearl dial.